Mary E. Qualters, LCSW-R, is a Licensed Clinical Social Worker who received her B.A. and Master’s Degree from the State University of New York at Albany. 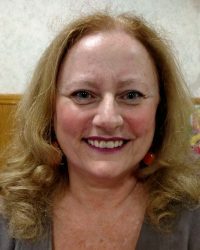 She has been a social worker for over 25 years, serving adults, children, and adolescents in a variety of settings which include: Hospice, Haven’s Grief Program, Tamarac and Bethlehem Central Schools, St. Catherine’s, and private practice. Mary specializes in treating depression, grief, loss, trauma, and relationship issues. In addition, Mary is certified in EMDR (Eye Movement Desensitization and Reprocessing), an effective treatment for trauma recovery. Finally, Mary works closely with individuals coping with infertility, miscarriage, and infant loss. She is a member of the National Association of Social Workers.